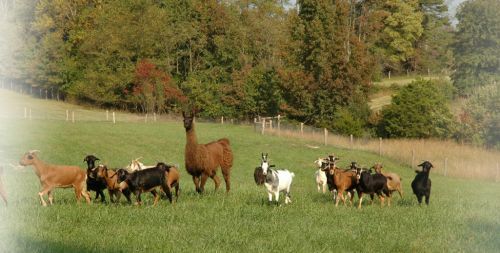 Llamas Mocha and Blackhawk guard our goat herds. 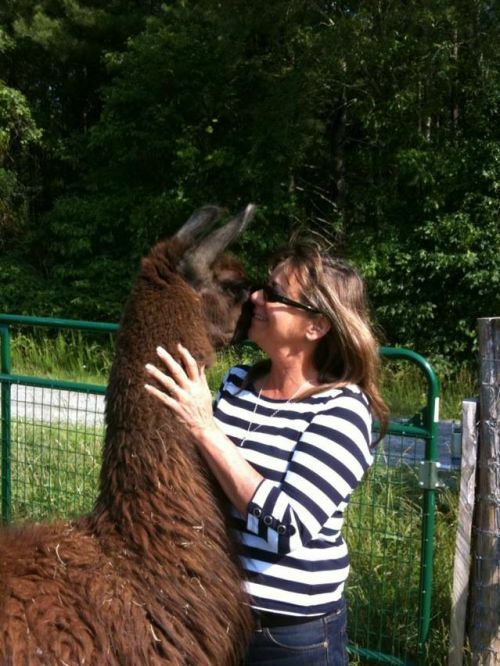 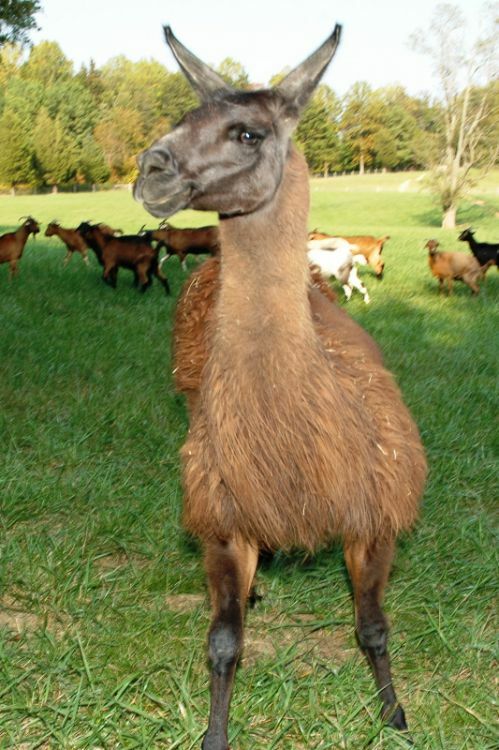 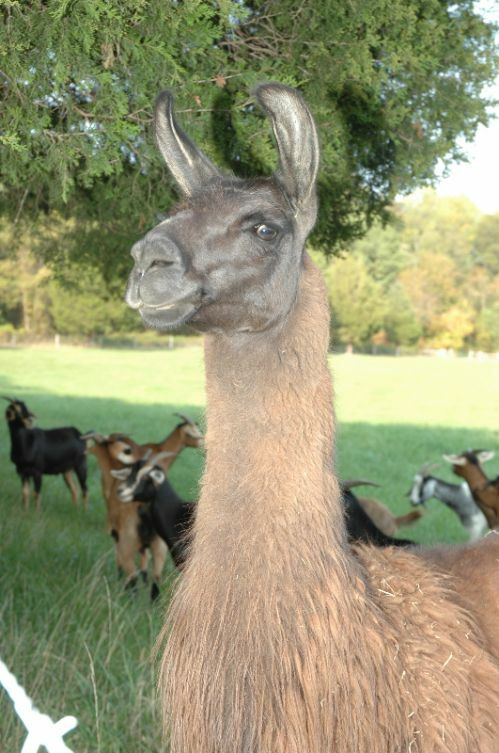 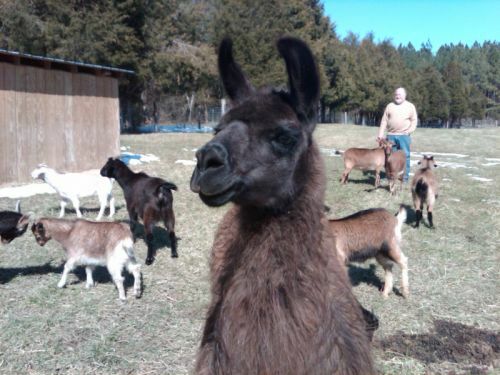 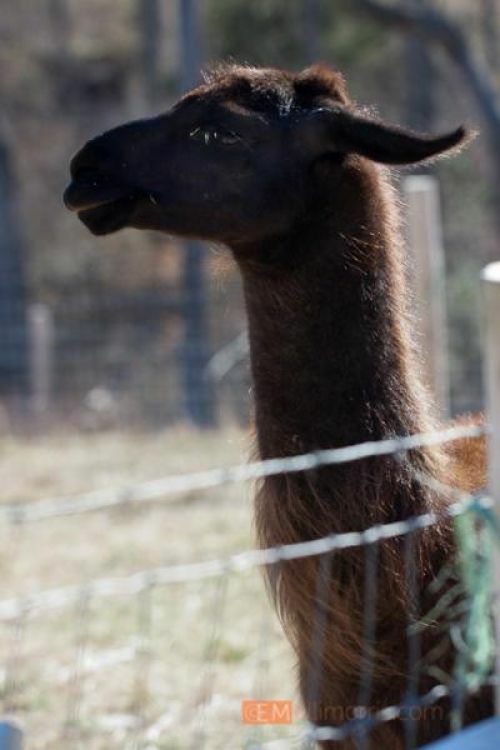 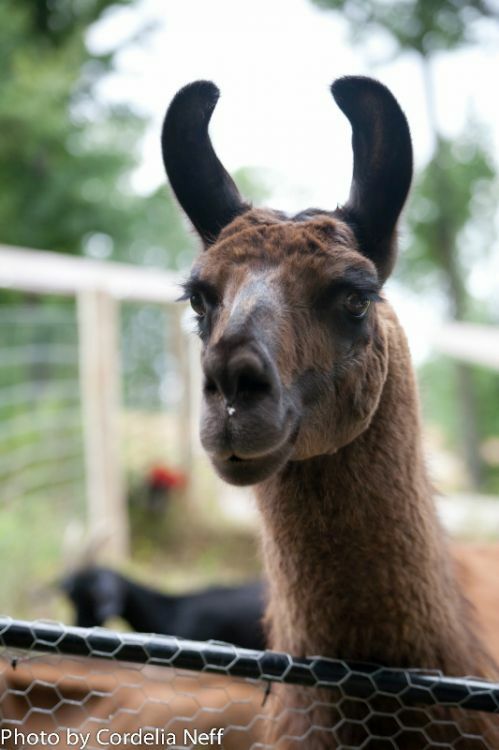 Mocha is a registerd open llama looking for the right mate. 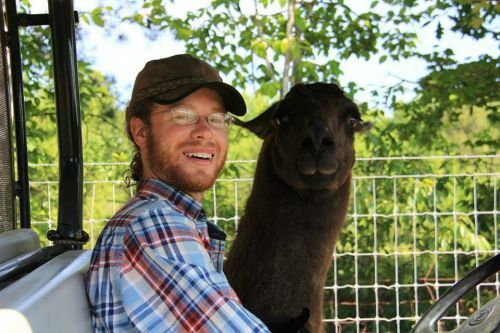 Blackhawk is a wethered gentleman.